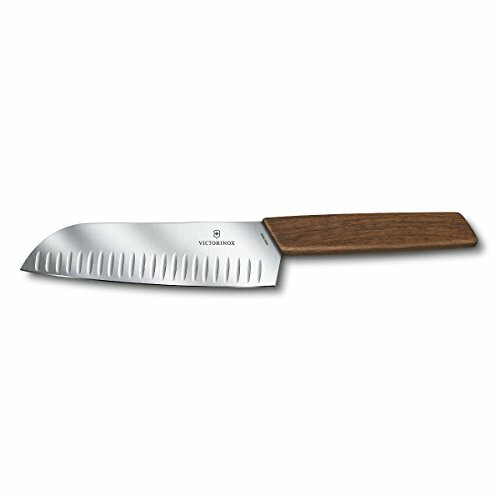 View More In Asian Knives - Page 5. 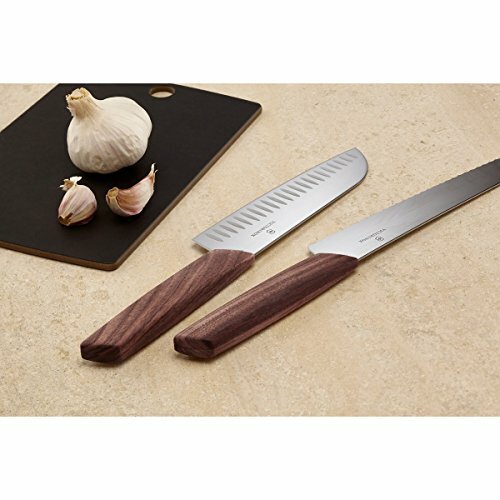 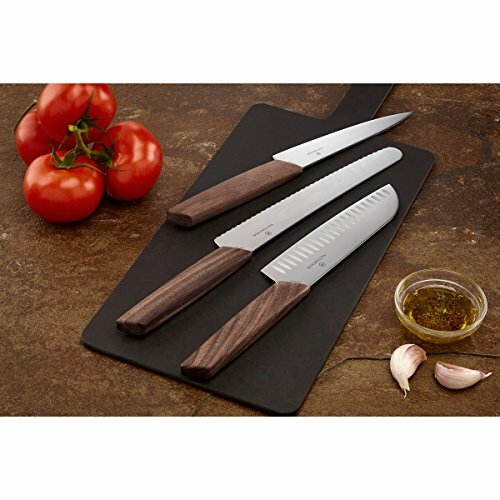 Gone are the days when the heft of a kitchen knife determined its quality. 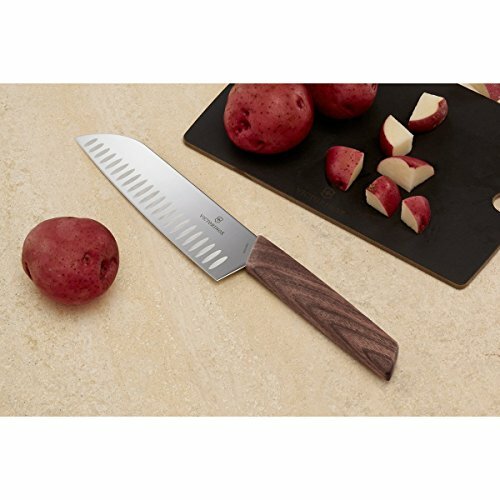 Home cooks deserve an easy-to-use, well-balanced knife that delivers razor-sharp cuts, will not dull, and a design that complements today’s well-designed kitchens. 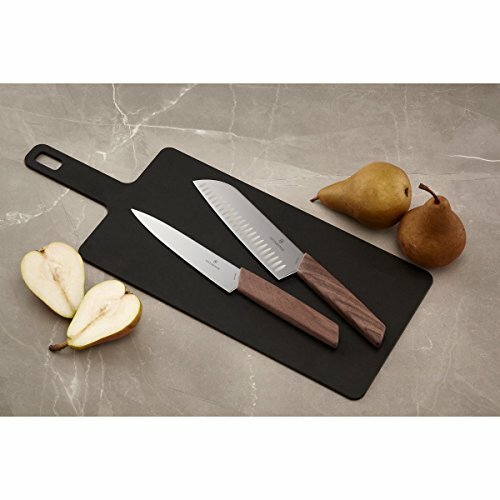 Enter Swiss modern, offering a sleek, beautifully crafted handle, which is ergonomic and exceptionally easy to maneuver for any task. 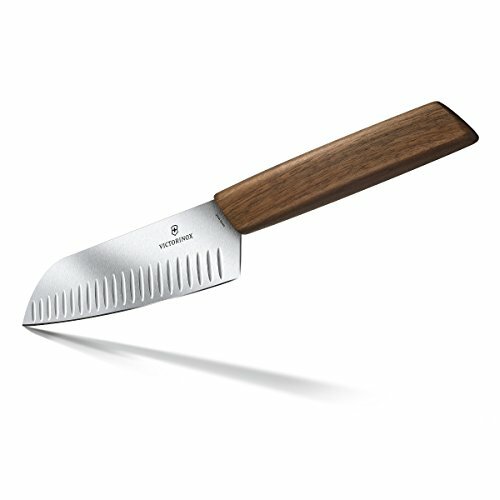 This new collection is well-appointed thanks to the innovative design created for home cooks and inspired by over 130 years of Victorinox craftsmanship. 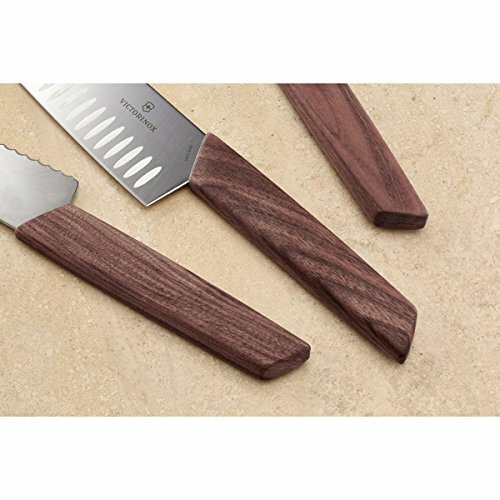 Handles are handmade with the utmost precision from sustainably sourced European walnut and are exceptionally light weight and visually stunning, providing a first-class experience in the home kitchen.